Malaysia 2017 MotoGP racing series has begun ahead of Sunday's top race (29/10/2017). On the sidelines of the MotoGP preparations are usually attended by many spectators from Indonesia, the riders began to start open interview session. One interesting discussion among the rider is the comparison between Valentino Rossi and Marc Marquez. 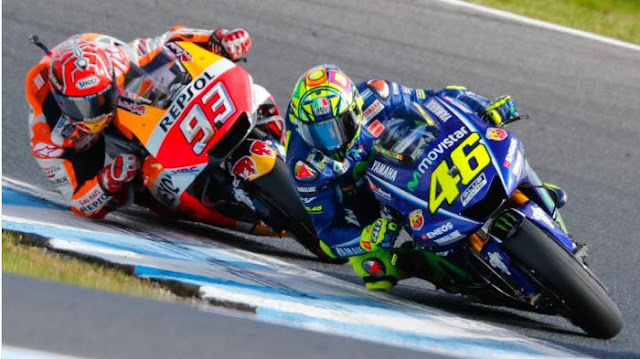 Two people that now can be spelt out the biggest popularity in MotoGP and even when compared to the easy or difficult side they overtook during the race. Johann Zarco got a tough question when choosing between Valentino Rossi and Marc Marquez, which rider is more difficult to overtake. After thinking for a moment, the Tech3 Yamaha rider chose Rossi rather than Marquez. "Emmm I think Rossi," said Johann Zarco in a press conference ahead of the 17th series MotoGP at Sepang Circuit, Malaysia (26/10/2017). "Because he really brakes slower, and because he can see you because sometimes I imagine he has eyes behind his helmet." Even so, Johann Zarco has its own reasons not to choose Marc Marquez as a rider who is difficult to overtake. According to Zarco, confidence is the reason Marc Marquez more easily overtook than Rossi. When I'm with Marc, almost, I think if you're going to overtake him it will not be too difficult because he knows he can overtake you again, maybe because Marc is faster,"
"He (Marquez) is more confident and lets you pass because he (like) said, 'you can pass and then I will overtake you.' 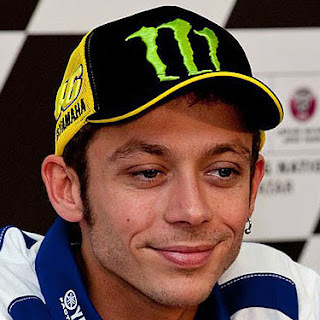 But Rossi struggled he said, 'no no,' "Zarco said quoted from Twitter MotoGP. Drawing up Zarco's answer The Doctor was actually holding back his laugh. While Marc Marquez just silent without expression. On the sidelines of the MotoGP preparations are usually attended by many spectators from Indonesia, the riders began to open the curhatan open interview session.